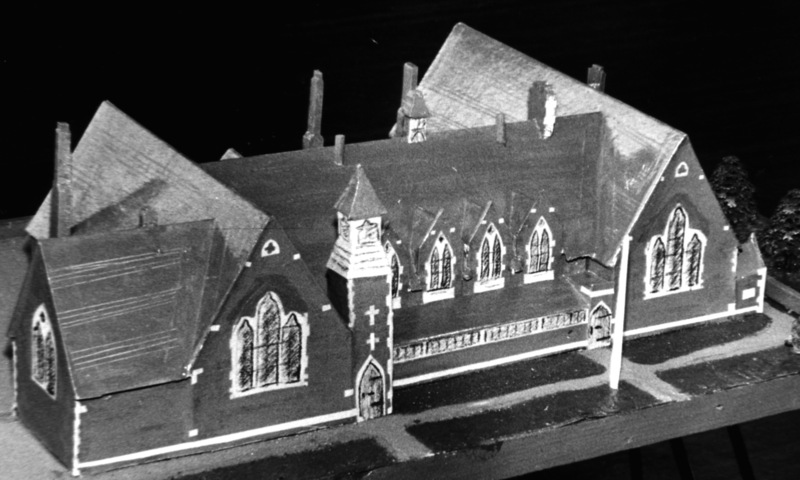 A model of Wollaston School buildings, 1959. In 1959 Wollaston Schools celebrated the 100th Anniversary with the official opening of the new buildings. The hall, new toilets, offices for the headteacher and secretary and new classrooms were all completed. On 30th June and 1st July the school was closed and many visitors joined the teachers, pupils and parents in a church service. The school held an exhibition in the building and included in the display was this model of the old school made by the children. Previous: Notice of a Gas Mask Inspection.